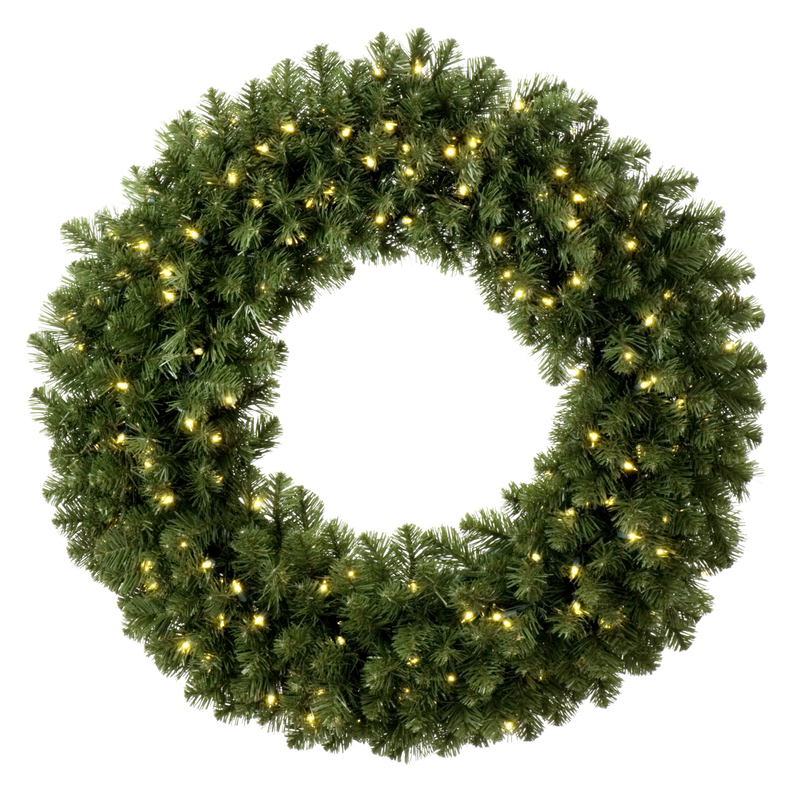 Our pre-lit Sequoia wreaths are commercial grade with warm-white 5mm LED lights. Pre-lit Sequoia Wreath. Click to enlarge. Don’t care for the Sequoia? Here are some other pre-lit styles. 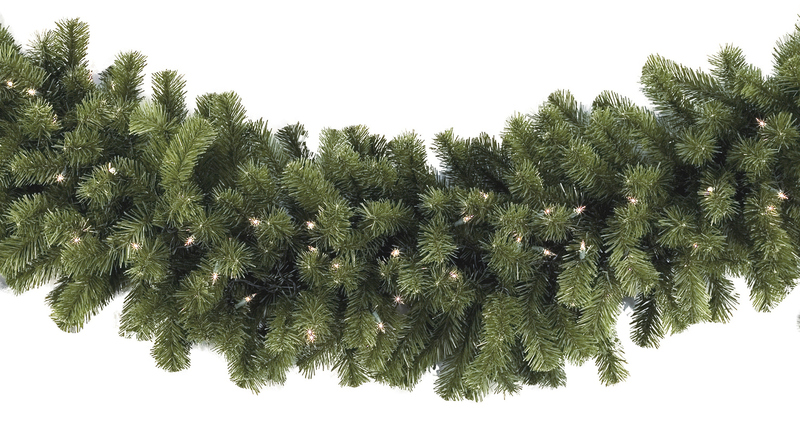 Our pre-lit garland is commercial grade with warm-white 5mm LED lights. Garland is a lush 14″ thick and comes in 9′ sections with 100 warm white 5mm LED bulbs per section. Up to 43 sections may be connected. Pre-lit Sequoia Garland. Click image to enlarge. 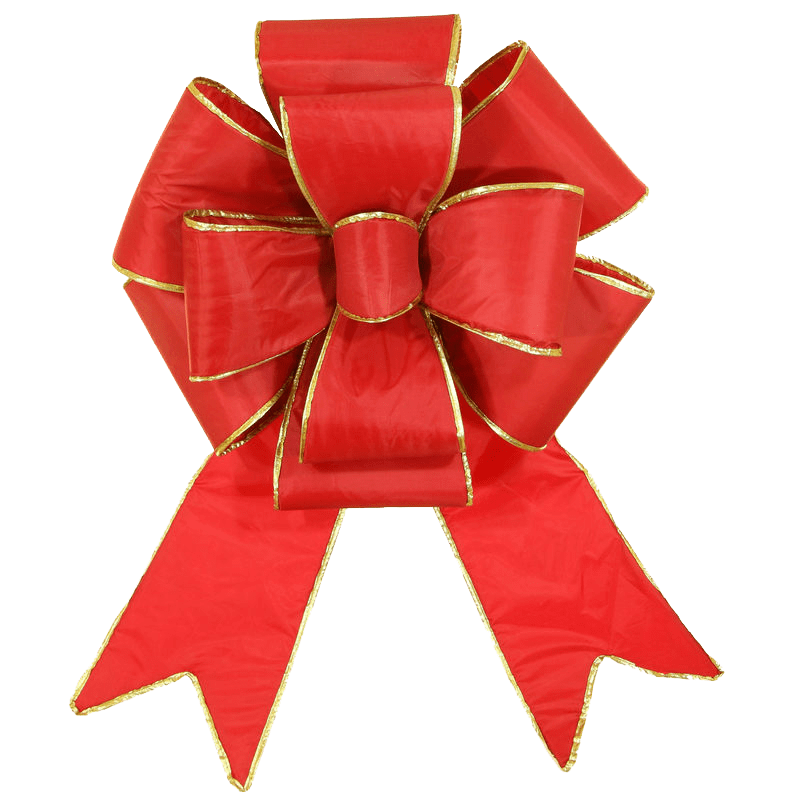 Our Holiday bows are sturdy commercial grade and are manufactured for indoor or outdoor use. They are made of nylon and add the perfect touch for wreaths, garland or for use as stand-alone decoration. Red Blooming Puff Bow with Gold Trim – Click to enlarge. 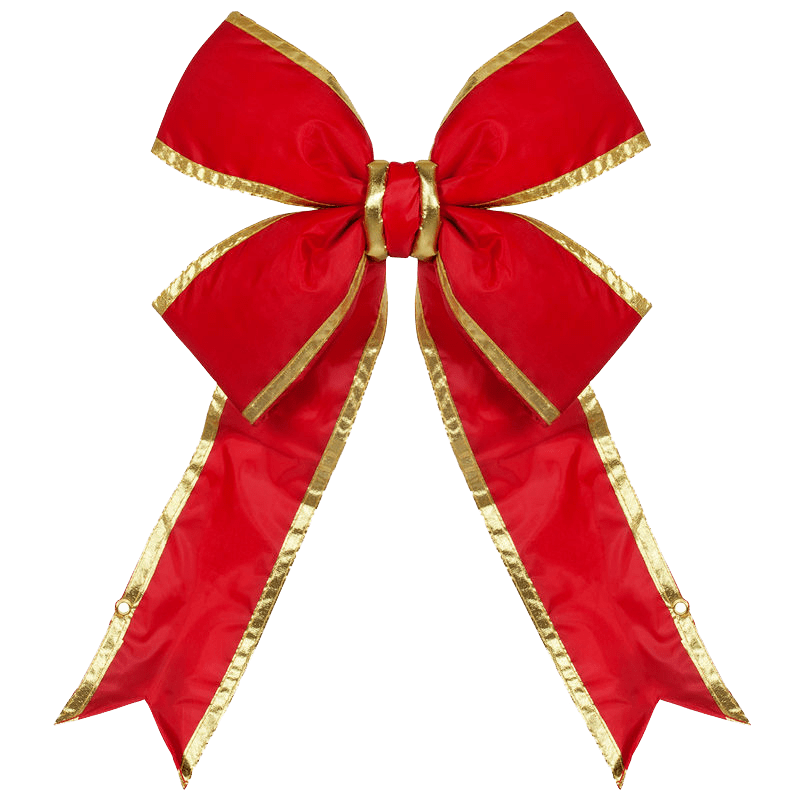 3D Red Bow with Gold Trim – Click to enlarge. Other bow styles are available. Call or write to see more styles. Want custom lights for your home to go with your wreaths and garland. Visit our Holiday Lighting page.